The goal of the MENtion It campaign is to get men discussing their health and taking preventative steps earlier in life. CLEVELAND: Cleveland Clinic has launched its first national men's health campaign, MENtion It, to encourage men to be more proactive about their health. The hospital developed the campaign in-house and with Ketchum, which it has worked with since 2012. "It’s the first campaign we’ve done around men's health," said Eileen Sheil, ‎executive director of corporate communications at Cleveland Clinic. "We have a minority men's health campaign, we have a women’s health center at Cleveland Clinic, but we don’t have men's health specifically. It’s a change we’re seeing now." Sheil added that the hospital system is using a "test and invest" approach with social media outreach and using a funny video. "We want to make sure we're hitting the target market, and we're seeing how impactful social media will be in this audience," she explained. "We're even testing a touch of humor. Is that a good thing for this audience? It's not something typical for Cleveland Clinic." "We want to state the obvious with the video," Sheil added. "Men have these things happen and it's funny in that they don't talk about it. It's our first experiment with humor." Cleveland Clinic is a network of hospitals headquartered in Cleveland, with locations across Ohio and in Weston, Florida; Las Vegas; Toronto; Abu Dhabi; and London. The hospital network had $7.2 billion in operating revenue in 2015. 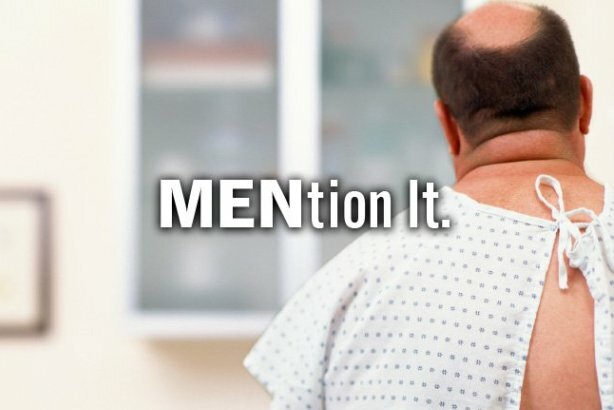 The campaign, launched this week, will focus mostly on social media, where the hospital is using #MENtionIt to share findings from its survey of doctors about men's health habits. "The survey confirmed what our doctors felt: that men don't seek out care," Sheil said. "A lot of men don't go to annual checkups or don't think to see a doctor when something is wrong with them. They don't want to talk about it with each other either." The hospital is also using the campaign to inform men about preventative steps to take, such as when to start getting prostate screenings, as well as to encourage them to open up about their health with their friends and doctors. "Cleveland Clinic is looking for areas of health education and promotion we want to own," Sheil said. "For this, we want to build awareness over time. There’s potential to make it an annual campaign, to keep it ongoing around cancer awareness month and different observances around men's health, like prostate awareness month."